The OG Burger Truck is big, green, and covered in hamburgers. Dude Bro Taco is sleek, blue and powered by Hot Sauce. You won't be able to miss us cruising around Denver, CO.
OG Burgers was established in 2011. Since then, we have become a staple in the Denver Food Truck scene that has blossomed over the years. 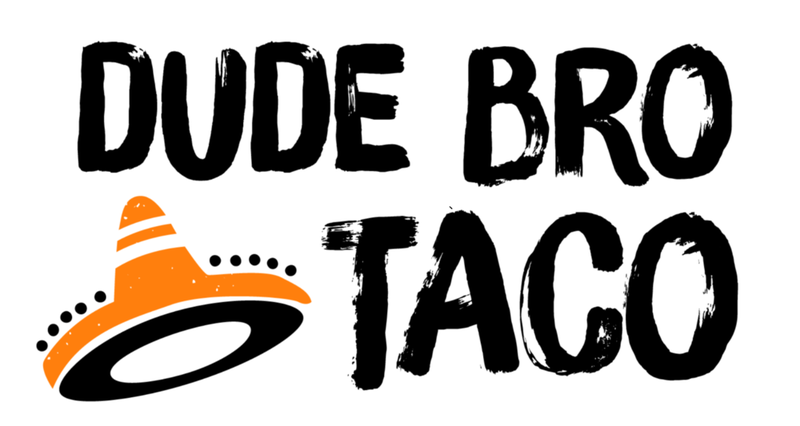 Dude Bro Taco was started in 2014 and seeks to elevate your experience of Mexican Street Food. Catch us at Civic Center Park on Tuesday or Thursday, or at City Park Jazz on Sunday night. We travel to office parks and cater company picnics. We go all over the mile-high city, so be on the lookout for the tastiest food trucks. The OG stands for Original Grass-fed. We use only 100% Grass-Fed Beef from small Farms. We sell burgers, plain and simple. You won't find any hot dogs on this truck. It starts with great meat, and ends with you being satisfied. We try to be creative and feature new specialty burgers from time-to-time, so be sure to check out the menu board every time you visit OG. And of course, every burger can be meat-free with a homemade veggie patty (made from brown rice and black beans). Follow us on Facebook and Instagram for our next location. Here is our Event Calendar. We'd love to cater your next party or event. Lunchtime for your office? Yep. Parties at your home? Absolutely. Weddings, Bar Mitzvahs, Birthdays? You betcha. We will work with you to create the perfect menu and the most awesome of times. Dude Bro Taco. Street Tacos, Burrito Bowls & Quesadillas. Spicy Carnitas-- Slow Roasted Tender Spicy Pork with hints of Orange and Cinnamon. Served with your choice of Mild Salsa Verde or a Spicy California Red Chili Sauce. Topped with Onions, Cilantro and Optional Guacamole and Fresh Cheese. Start with Cilantro-Lime Rice, Black Beans, Sauteed Onions and Peppers, Your choice of Meat or vegetarian options topped with Pico De Gallo, Home-Made Salsa, Cheese, Guacamole, Lettuce and Mexican Cabbage. Large Flour Tortillas filled with your choice of Meat, a delicious 3 Cheese Blend, Onions and Peppers. Served with Sour Cream and Guac on the side. Got a question about Catering an event, Want us to come to your house, or your office? Send us a Message and We will reply ASAP. We look forward to working with you.